The winter being is felt these days. The early morning chill and the sudden midnight riot of cold! The cracks on the palms and the craving for a cup of hot tea! Winter has a touch of romance and excitement in our lives, though the winter we experience in most parts of the country is actually moderate and modest. Enough said about the season uhhh, and the context too may be confusing you. 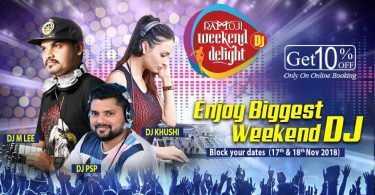 But it was just a vague prelude to explain to you that just outside the glitzy environs of Hyderabad and only an hour drive is the perfect place to chill out in winter. 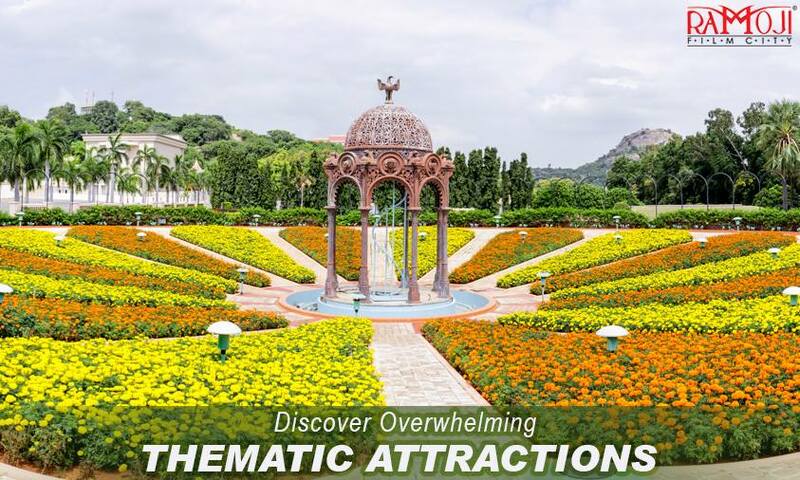 If you have caught me early, then full marks for guessing since I am talking about Ramoji Film City. It may sound surprising as you analyze how a destination full of filmi action and adventurous activities, can be a paradise for those who want to freak out in winters. I must challenge, it must be seen and experienced, not just in a daylong visit, but as a fine stay overnight to rejuvenate the spirits and refresh thoughts. 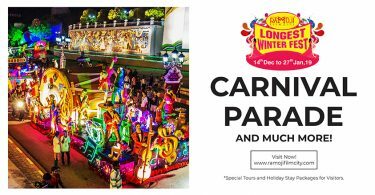 It must be a wild move to visit a hill station at the peak of winter, but Ramoji Film City is no less than a hill resort during the season, but keeps you more pleasant and does not freeze you. No, we are not just talking about the temperatures, but the ambiance where flowers bloom in million hues and the heavens sprinkle snow on the leaves to make them glorious. Stay at the best property with your preferred budget. Have a hot cup of coffee and take the cycles provided by the film city. Alternatively, you can prefer to jog or walk, sprint or run. Pierce through the thick blanket of fog as you begin to unveil the morning resplendence of Mughal Gardens drenched in the overnight chill. Look left and you are tempted to ride up to Hawa Mahal, the hilliest point of the campus from where the early morning sounds as well as sights are the most sumptuous treat that otherwise only a hill station can deliver, but without the magic of cinema. How amazing your article is! I love your opinion! Hope you had an exciting countdown. Keep in touch!